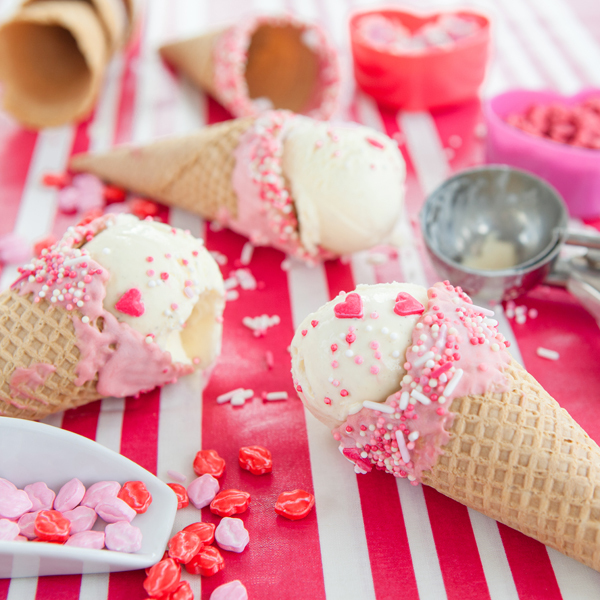 In the ice cream business you become familiar with certain terms such as overrun, product mix, pressurized machines and gravity machines. A Gravity or pressurized ice cream machine are types of soft serve frozen dessert machines that can be purchased to make your own soft serve ice cream, frozen yogurt, custard or sorbet. If you’re looking to open a ice cream store or frozen yogurt shop then you’ll need to decide whether to buy a gravity or pressurized ice cream machine for your store. A gravity or pressurized ice cream machine? Each have their advantages and disadvantages over the other when it comes to product, price, volume, overrun, maintenance, texture and taste. Knowing the difference between a pressurized machine and a gravity machine and which one to purchase for your ice cream store will be a big decision that you cannot take lightly. So what’s the basic difference between the machines? A pressurized machine uses (pressurized) pumps to pull the product from the hopper to the freezing chamber. A gravity machine will use gravity (no pump needed) to pull the product from the hopper to the freezing chamber. What’s overrun? Overrun refers to the amount of air added to the finished frozen dessert mix. Think of it as almost the fluffiness and stickiness of the product. The maximum overrun you can achieve with a pressurized machine is around 70%. That means for about 1 gallon of mix, you’ll get about 1.72 gallons of finished product. The maximum overrun you can get with a gravity machine is about 35%. So, if overrun is an important factor in your product then obviously a pressurized machine will do you justice. Price: When it comes to investing in one of these machines, price should not be the only concern. However, since it’s always on the forefront of everyone’s mind, then a pressurized machine will run you a bit more than a gravity machine upfront. But what you also have to consider is the cost to run the machine over time and repair costs when the machine breaks down. A gravity machine will be a bit more economical in the long-term when you weigh these factors. Maintenance: Maintenance plays a big part in how any machine functions over it’s lifetime. If you want to spend less time cleaning and more time making product then a gravity machine might be for you. Gravity ice cream machines have a lot less moving parts (pumps) making it easier and quicker to clean between batches. Volume: An important factor in your machine purchase will the amount of customers or the volume your store does. If you’re running a high volume, high sales output then a pressurized machine will benefit you more because it can produce up to 25% more product per patch but remember, you’re going to spend more time cleaning and maintaining the machine. If you’re running a low volume soft serve store then a gravity machine will be ideal for you. It’s making lower volume, saving you time cleaning and maintaining the machine, plus the upfront cost of the machine is cheaper. Texture: If you’re looking to produce a creamier, smoother texture with your ice cream then you should consider a pressurized machine. Remember a pressurized machine pumps more air into the product, producing overrun and the desired texture. Since there is less air added with a gravity machine the finished product will be a bit more dense and heavy. You also have to take into account the weight of the product you get with each. If you’re selling ice cream by the weight, then a gravity machine might be best since the product will come out heavier and more dense. Taste: Taste is the ultimate deciding factor. A gravity machine is definitely going to produce a more intense taste and flavor since there is less air being added to it. With a pressurized machine, you might be able to serve bigger portions but the taste may not be as intense. Though a pressurized or gravity machine may look the same, they function differently and the product they produce is different. The Electro Freeze 400 (left picture) series are gravity machines that are know throughout the industry for their extreme reliability. 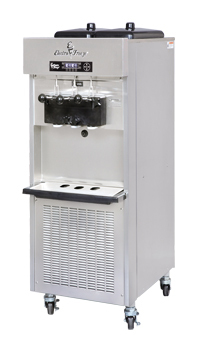 The Electro Freeze 5099 (right picture) is a pressurized machine praised for its high volume and extreme reliability. If you need more information about a particular gravity or pressurized ice cream machine then feel free to reach out to us so we can address any issues or questions you may have.